In case you haven’t noticed, I’m a big Roald Dahl fan. 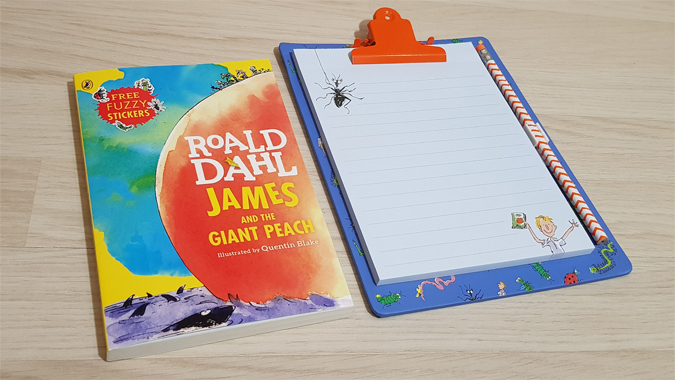 Roald Dahl Day is one of my favourite days of the year and this year’s theme, James and the Giant Peach, has meant there’s loads of cool merch to get your mitts on. 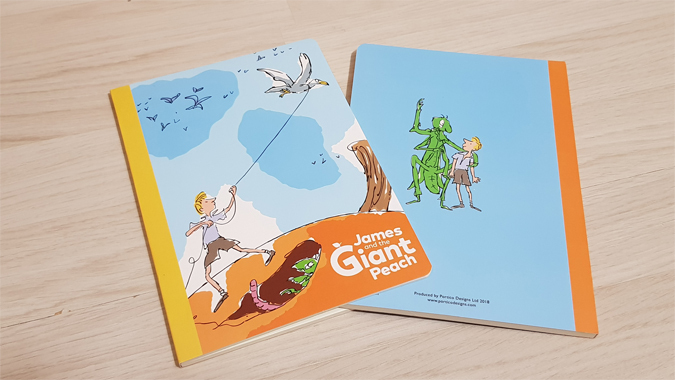 Portico Designs have a fab range of James and the Giant Peach stationery. The collection includes a clipboard with pad and pencil*, pair of exercise books*, pencil box*, and multi-pen*. 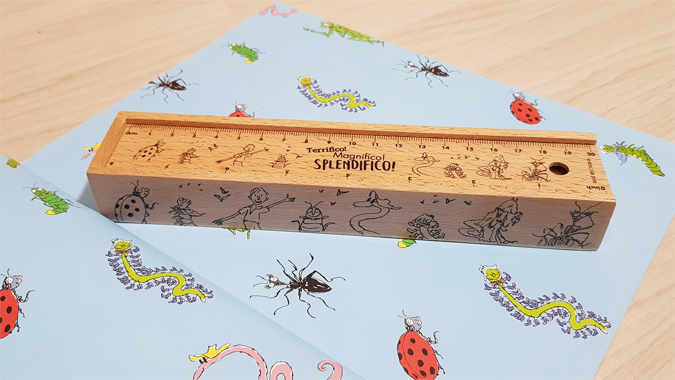 The clipboard features Quentin Blake’s well-loved illustrations, along with a 50-sheet, perforated, lined notepad and striped pencil. 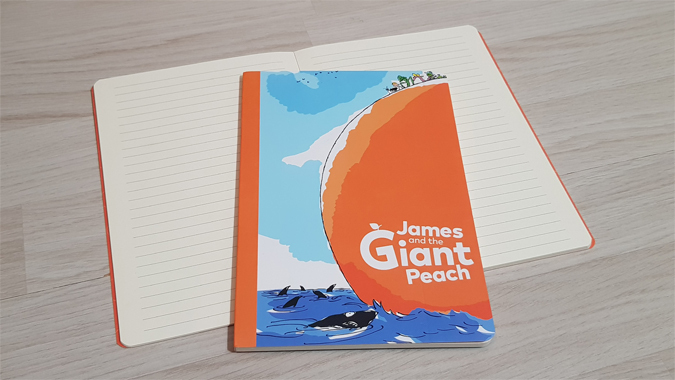 The notepad is also illustrated and will make a handy to do list pad for my desk. You can never have too many notebooks and I love this pair of exercise books. One is blank and the other is lined, with 80 pages a-piece. There are also illustrations on the front and back. The pencil box is my favourite. It has a built-in ruler, features 12 colouring pencils and comes with a sharpener. 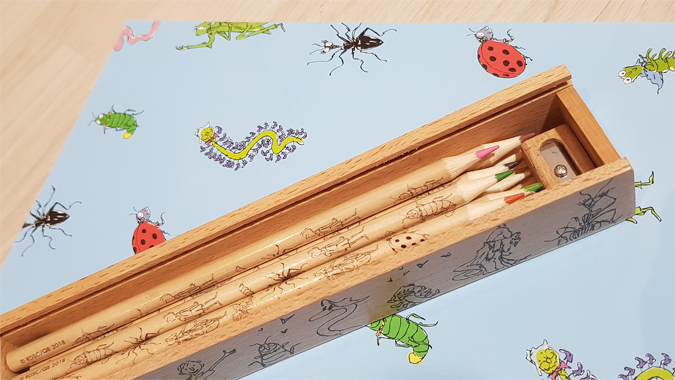 There are illustrations on the pencils and box, plus a quote from the book. Last but not least, a favourite amongst school kids everywhere, the multi-pen, complete with six different colours. 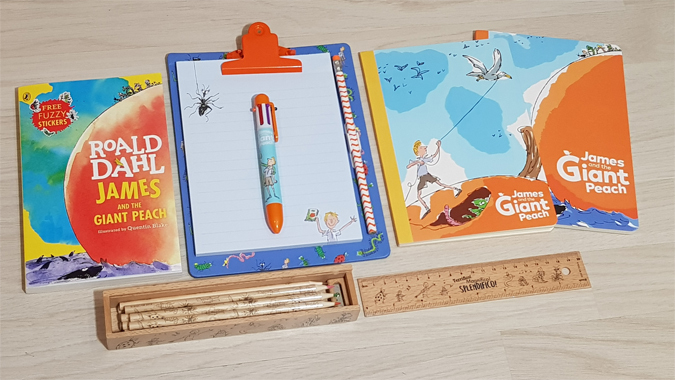 Now I’m going to need a stationery collection for all of the other Roald Dahl titles! These are awesome! 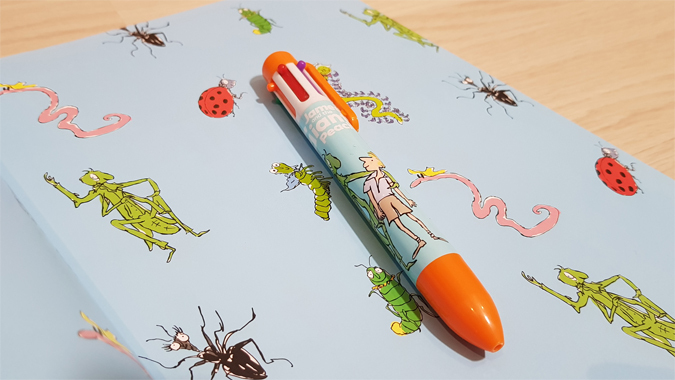 I’m a huge Roald Dahl fan as well and love how much merchandise is being brought out at the moment. I picked myself up some cups in Tesco. My favourite item here is the clipboard. Ooh, just made a mental note to pop to Tesco!